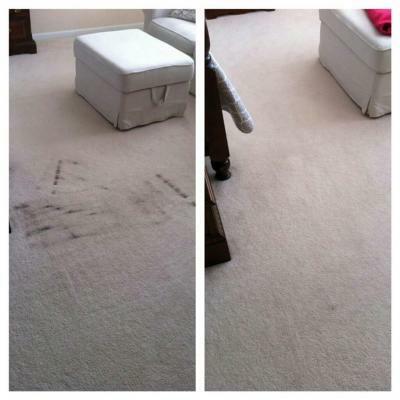 Do you need help with black dirt spots and stains in your carpets or rugs? Heaven’s Best Carpet & Rug Cleaning has professional strength cleaning products to help with Carpet & Rug Spot Removal in Hoover, AL. 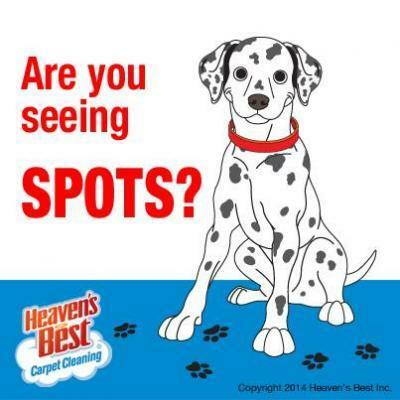 If you have bad black dirt spots or stains like the ones in this photo, don’t worry Heaven’s Best can help. Our unique cleaning solutions will remove almost any spot or stain in your carpet, rug, or upholstery. One of the worst spots or stains you can get is black dirt and grime. Almost everyone gets some sort of black or gray traffic lanes in the common areas and walk ways of their carpets. These stains can look really bad and even worse when you have white or cream carpet. And guess what? Most people have cream, tan or light beige carpet. But, these types of black spots and stains are very common and we know exactly how to get rid of them. Heaven’s Best of Birmingham has an excellent product called Fast Acting Enzyme that we use as a pre-spray before we even start to clean. This product starts to break down the dirt and grime immediately. It works extremely well on black traffic lanes and just plain old dirt, dust and grime. Even if you have light colored or even white carpet, we can get your carpets looking almost like new. Don’t worry about your dirty black carpets any longer! Call Heaven’s Best today at (205) 618-9150 and we will thoroughly clean and deodorize your carpet and it will be dry in about 1 hour. If you need help with carpet & rug spot removal in Hoover AL, Heaven’s Best is the best place to call. We have great rates too! So, don’t wait any longer! Use the form below to contact us today.